Tru Appraisals services are all encompassing and include expertise in a wide range of property types, which include, commercial and industrial appraisals. 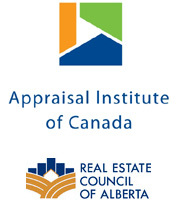 Robert Kibsey holds the AACI (Accredited Appraiser Canadian Institute) designation. The AACI designates fully accredited membership in the Institute and may be used by the holder in connection with the appraisal of a wide range of property including commercial and industrial. Please contact us for a quote regarding and commercial or industrial properties in the Medicine Hat area.